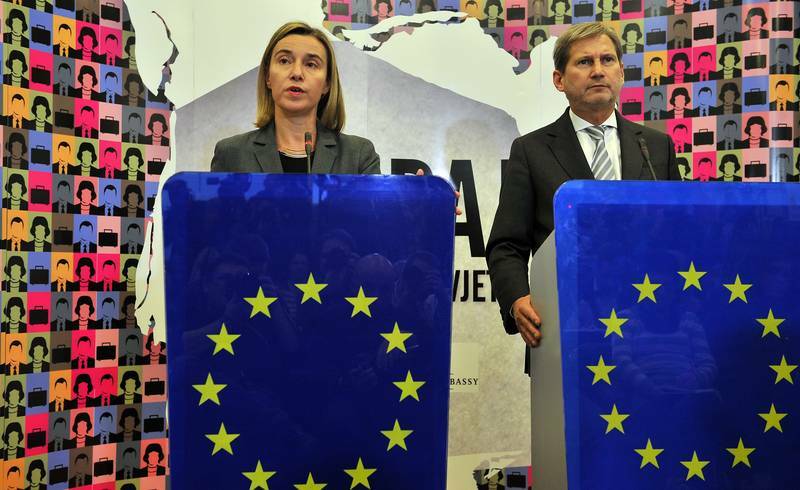 The EU foreign minsters have tasked the high representative for EU foreign policy Federica Mogherini and EU Enlargement Negotiations Commissioner Johannes Hahn to secure as soon as possible a written commitment by Bosnia and Herzegovina for reforms. This happened during the foreign minsters' meeting in Brussels during which they adopted for the first time conclusions on the EU's change of approach of the European integration process of Bosnia and Herzegovina. The written commitment should include also a commitment for work in a consultation with the EU on an initial programme of reforms developed together with the civil society. Among the reforms that have to be in the programme are those in the social-economic area and mainly the agreed in the spring compact for growth and jobs, the rule of law and good governance. The commitment has to be approved by the Bosnia and Herzegovina presidency and signed by the political leaders in the country, including the parliament. When that happens, the EU will unblock the Stabilisation and Association Agreement which is the first step toward a fully fledged EU membership. Croatia's first Deputy Prime Minister and Minister of Foreign Affairs Vesna Pusic pointed out that against the backdrop of the stated will by the Bosnian authorities, it is quite realistic the written commitment to be signed soon so that as early in January the Council can approve the triggering of the stabilisation and association agreement. According to her, however, it is very important the commitment to be signed not only by the BiH parliament but also by the parliaments of the two entities in the country - the Republika Srpska and the Bosnia and Herzegovina Federation, "given the real situation on the ground". For now, it is not clear how can this be organised and how realistic it is, but Vesna Pusic expects the commitment to be signed by both the ruling parties and the opposition. This is a very important consensus for Bosnia and Herzegovina's progress toward meeting the membership criteria, she said. The stabilisation and association agreement was ratified in 2008 but it has still not been enforced. The only precondition for that was Bosnia and Herzegovina to apply the ruling of the European Court on Human Rights on the Sejdic-Finci case, accompanied with a recommendation for changes to the Constitution to allow representatives of ethnic communities, other than those enshrined in the Constitution, to participate in the country's governance. This proved a very difficult task to do and has been hampering the country's European integration process. The country has again entered the European spotlight thanks to the large-scale protests in the beginning of the year caused by the high unemployment and the lack of perspectives. These protests inspired Croatia to propose a special approach toward Bosnia and Herzegovina which was supported by Britain and Germany after the parliamentary elections in the federation this autumn. 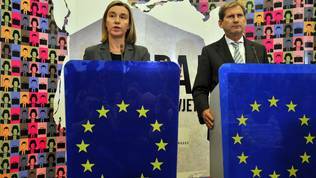 With the conclusions approved today the EU foreign ministers give a clear sign that the Union is ready to do its best to help Bosnia and Herzegovina to "move forward" from the situation of no progress which it has found in for years. This is a historic chance for the complicated state to achieve a real progress in its Europeanisation (in the words of Slovenian Prime Minister Miro Cerar) with a tangible effect on the country's economy. In order for that to happen, however, it is necessary all communities in the federation to turn their backs on the narrow party interests and make this commitment because this is not a commitment only for the EU. It is a commitment for the citizens of the country that their lives will be better.